Turkish national Zabit Kişi was abducted from a plane by a group of unknown people in Kazak city of Almaty, his wife said in a recent video recording during which she also expressed concerns over Turkey’s long arm abroad. Social media accounts familiar with the issue supposed that Zabit had links with Gulen movement, which the Turkish government accuses of masterminding the July 15, 2016 coup attempt. The movement denies involvement however President Recep Tayyip Erdogan has already called on foreign governments to punish Gulen followers in their own countries. 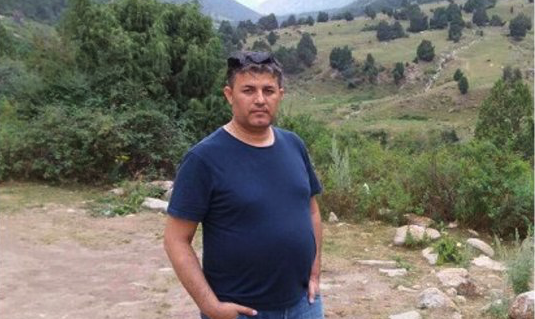 According to media, Kişi disappeared while he was on his way back to Kyrgyzistan along with another Turkish national, Enver Kılıç, also reported by his wife to be missing in the same way. Family members fear that their beloved ones have been caught in Turkey’s post-coup dragnet in which many overseas Gulen followers were put in jail after they were deported back to Turkey. In the latest of such incidents, Pakistan’s anti-terror police violently detained Mesut Kacmaz, a former principal of the Gulen-linked PakTurk schools along with his family, and deport them to Turkey even though the family had secured asylum certificates by United Nations.